My husband is 66 years old and just got new hearing aids. He still seems to have trouble hearing what I say. What can I do to make things better? First things first: Congratulations to your husband for getting hearing aids! Sometimes people assume that once a person recognizes that he/she has hearing loss and makes the wise decision to get hearing aids, that everything will magically be fine. Unlike glasses that can correct your vision to 20/20, there is no such thing as “20/20 hearing” with hearing aids. Adjusting to new hearing aids will be a process—for both of you. Patience and keeping communication options open are key. Everyone has different life experiences, sense of comfort with technology and unique auditory memories—some people can make sense of sounds quickly and some will take more time. 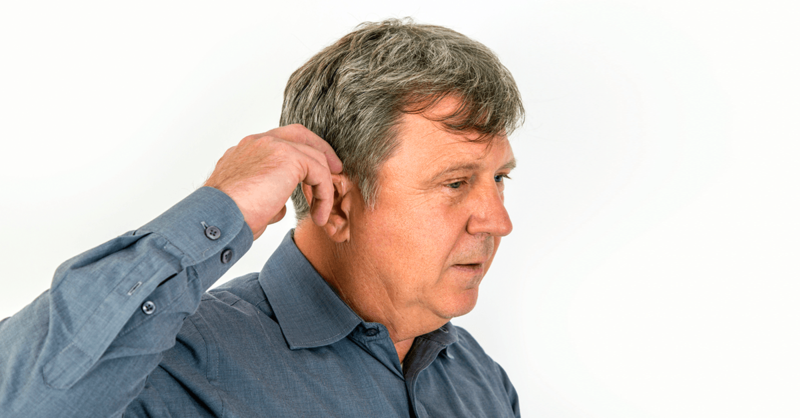 Some people have had hearing loss for most of their lives, and some lost their hearing as an adult. All of these facets work together to help people understand what they hear. Practice and consistent use of hearing aids generally result in faster progress than passive hearing-aid use. In your husband’s case, his audiologist can perform testing (such as speech-perception testing) that will look at how his hearing-loss pattern and degree of hearing loss impact communication. The goal with amplification is to see these scores improve over time. Hearing aids make soft sounds more audible, including environmental sounds such as traffic noise or a phone ring. Speech, however, is much more difficult to hear and understand because it is a more complex sound. Further, not only do you have to hear something, you have to make sense out of what you heard and then act on it. Sometimes hearing aids aren’t enough—your husband may need to use assistive devices to participate in activities such as communicating in groups, talking on the phone and watching television. When communicating with you and others, visual cues and other techniques will play an important role. For example, when you want to say something to him, it will help to give him a tap or a slight wave to get his attention. And get into the habit of making eye contact before talking to him. It’s also helpful to have good lighting and to speak face-to-face so that your husband can use all cues, including body language and lip-reading. Many sounds look exactly the same on someone’s lips (for example, the words “pat” versus “bat”), so lip-reading is sometimes more like “lip guessing.” Some people are good at it and some are not. If you pause between sentences and speak at an easy pace, this will give your husband time to process clues from lip-reading and gestures. If you are chewing gum, eating or you are covering your mouth with your hands while you’re speaking to your husband, this will also make it more difficult for him to follow your conversation. Writing notes can be another effective way to communicate unfamiliar words that may be difficult for him to lip-read. Try to speak in your normal tone of voice, since shouting can actually distort one’s speech. Speaking at a normal pace—not too fast and not too slow—is helpful, too. Moving to a quieter place helps with ease of communication as well. If he seems to keep misunderstanding something, instead of using the same words, try different words (which may contain speech sounds that he can hear better) to describe the same concept. All these steps will help you communicate better with your husband as he continues to adjust to the new sounds that he is certainly hearing via his new hearing aids. Each person’s progress is different, much like learning a new language, so have patience, practice, use good communication strategies and make sure to talk with his audiologist if you have further questions.